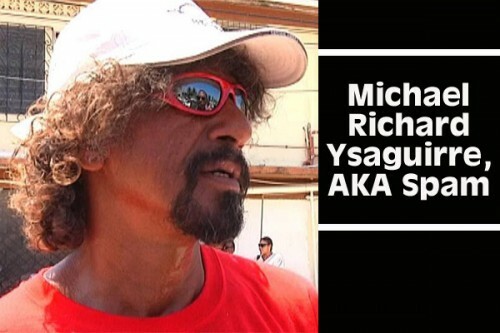 This past Saturday, June 28, a sense of uneasiness filled the air near the Conch Shell Bay Fish Market off Vernon Street in Belize City, as news of the death of Michael Richard Ysaguirre, 50, popularly known as “Spam” – a well-known individual who worked in the area for many years – spread after he had succumbed to injuries he suffered after allegedly being hit in the chest last Thursday, June 26, by a man who owns a store near the fish market. Since police initially ruled that there was no foul play involved after he was declared dead. Ysaguirre’s body was put in the morgue pending a postmortem. That autopsy, however, proved otherwise, and today, when Amandala spoke to former Belize City Mayor, Zenaida Moya, who is Ysaguirre’s younger sister, she explained the circumstances that led to his shocking death, and told us that, based on her brother’s account of what had happened, the family is convinced that it is an outright case of murder. According to the postmortem that was carried out by police pathologist Dr. Mario Estradabran this past Tuesday, July 1, the certified cause of Ysaguirre’s death was said to be “cardiogenic shock”, which is inadequate circulation of blood to the heart. Moya said that Ysaguirre managed to make his way home after the incident, and his mother had been taking care of him since, but she does not know whether he had visited the hospital to check on his injuries, because his chest area was swollen and showed an apparent protrusion. In any event, he died on Saturday, and the family has indicated that his case should now be treated as a murder – a classification which his family believes is in accordance with the postmortem results. “This was my big brother who I grew up with, and at the end of the day, we feel that he didn’t deserve it. Everybody knows he was a fixture of Conch Shell Bay from his young days as a teenager. He likes the sea and dealing with fish. He even calls himself a ‘land fish mongrel’, so it is hurtful, because he was amusing to us, he made us laugh, and we loved him”, Moya indicated. Today, Inspector Jorge Villanueva, Operations Commander at Belize City Police Precinct 1, told us that the case is still being treated as a sudden death until they receive information to indicate otherwise, and that it is still under investigation. Apparently, an official police report has not been made, and Villanueva explained that whenever investigators are able to determine that Ysaguirre was actually involved in an altercation with the accused person and that his injuries resulted from that altercation, then they will be able to levy charges against the accused. Although Villanueva acknowledged that Ysaguirre’s death was due to unnatural causes as indicated by the postmortem results, they are depending on the assistance of eyewitnesses to determine if the victim was indeed murdered. He was reluctant to comment on whether police now believe that foul play was involved, and maintained that they will be relying on statements from persons who saw what happened to assist them in the investigations. Up until press time, no one has been detained in relation to the incident.